I bought a Tado: My description of buying a Tado and installing it in my home and using it. As you can see my existing system has a cylinder stat, a room stat and a valve position controller Drayton V4073, all this is controlled by a Superswitch 1657 controller located near the boiler which is a Worcester Bosch 24 CBi. 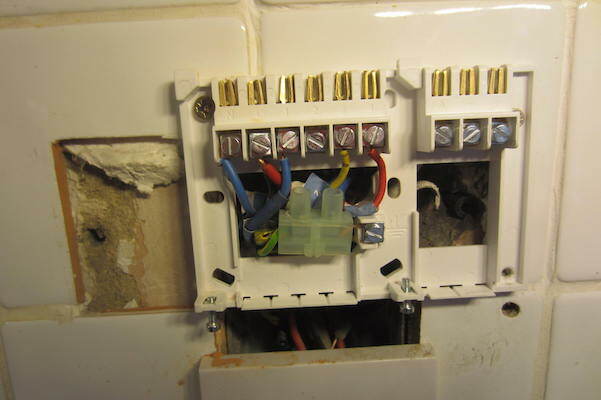 Here are some photos of the wiring at each of the locations, boiler, controller, and airing cupboard junction box. As you can imagine it was a right old job producing a diagram hence the much modified drawing you see above. 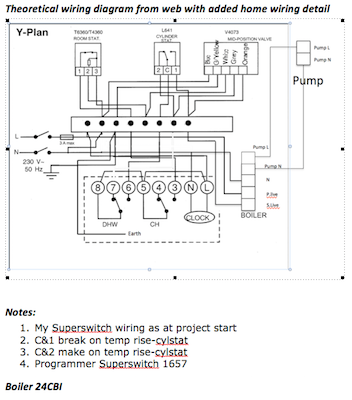 One of the things I found out in my research is that my system is based on the Sundial 'Y' plan format, this diagram was the template I used to understand and then install the Tado against. 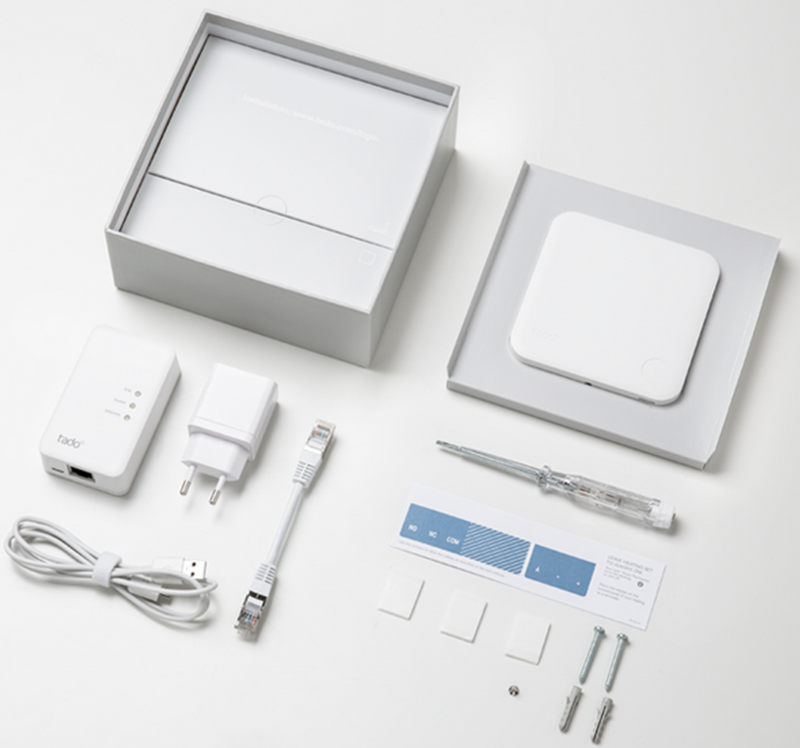 The extension kit is an additional cost item on top of the smart thermostat and wireless bridge that comprise the basic kit. 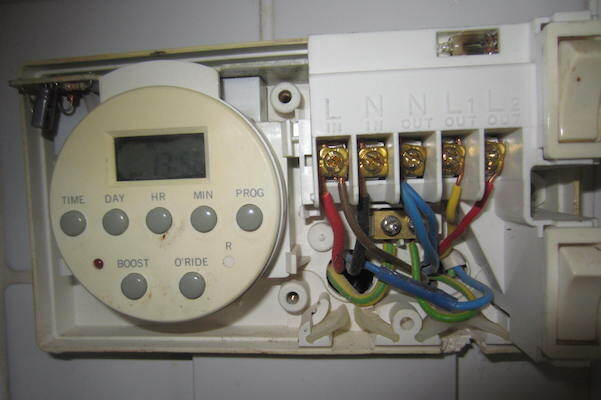 I wished to have fully independent control of my heating and hot water, I could not do this with the basic kit which turns on the hot water every time the heating is on. 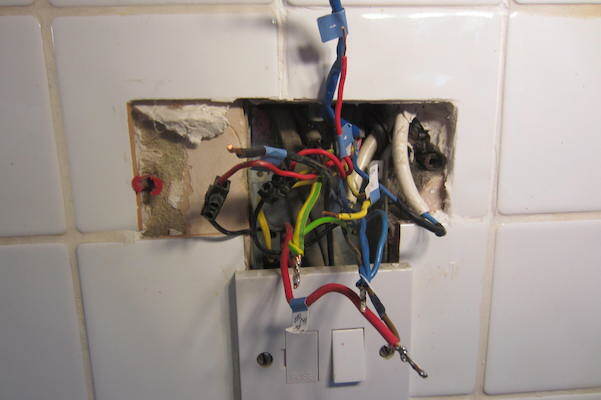 The extension kit basically replaces the existing central heating controller which is why it is very important to fully understand the wiring of your system. Of course there is an easy way out of this which is to pay Tado £80 and have them install it for you. I personally enjoy the sort of challenges posed by this install and also enjoy saving money through my own efforts. 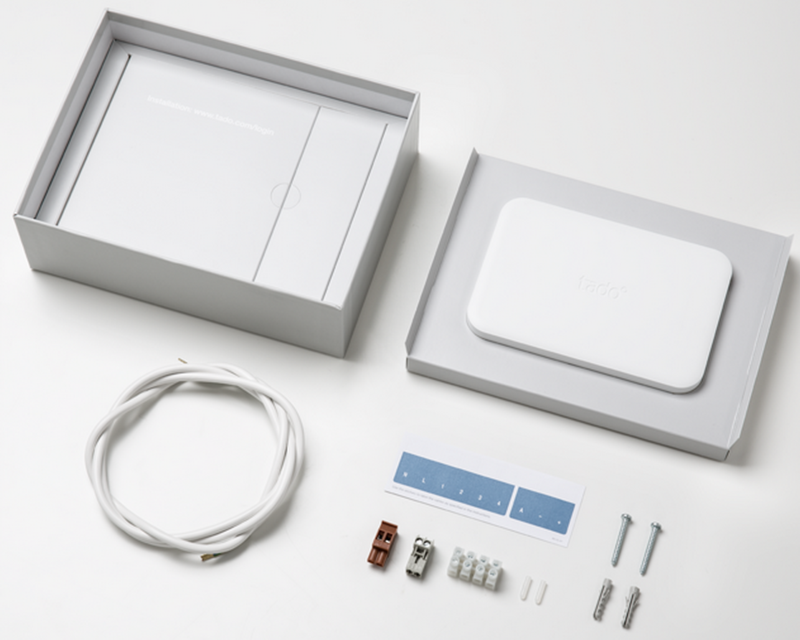 The included bridge kit is to provide a wireless connection between the internet the extension box and the smart thermostat. It must be stressed here that this NOT a wifi connection but uses a much lower frequency in the 800MHz band for this link rendering it less likely to have interference issues and also to penetrate more easily through the fabric of the building. Prior to actually installing the hardware Tado will query the details of the existing setup and how you plan to use it. This then enables them to send you detailed instructions for your particular system. 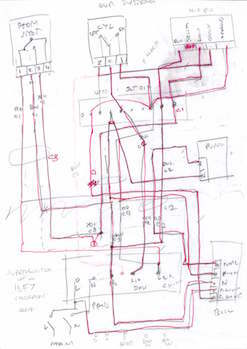 I had already established that my system was wired according to the Sundial 'Y' plan and understood exactly how I was going to wire the extension kit. It is important to note that I wanted fully independant control of my hot water and also I wanted to be free to install the smart thermostat wherever I liked. One of the elements of this flexibility was to instruct Tado that I did NOT wish to replace my existing room thermostat (situated in the entrance hall) with the smart thermostat, in fact if I remember correctly I told a white lie and said I did not have a room thermostat at all. This way Tado did not send me unecessary instructions for wiring the smart thermostat. In operation I run my system with the old room thermostat permanently on but vest control of the system to the Tado smart thermostat, before Tado the hall thermostat was set to fully 'on' and temperature control was down to thermostatic radiator valves in every room. Having a portable smart thermostat means that I can experiment with siting the thermostat in different locations to find the most effective position for it. As I knew how I was going to connect up my existing wires to the Tado extension kit there was nothing to it but to go ahead and remove my existing heating controller, the Superswitch 1657. This left me with a gaping hole and a bundle of wires to deal with as you can see. I used the labels supplied by Tado and had a bit of fiddling and joining to do before I could drill the mounting holes and connect up the extension kit backplate adaptor but eventually I got it done. Once I had the extension box installed on the backplate and tested I could make good the tiling as you can see in the final picture. So you have followed all the instructions, you have pulled the battery tab on the smart thermostat, you have plugged the bridge into your router and power and switched on the power switch to your extension kit? What to do now? Well at this stage it would be reasonable guess that only one white LED (the power indicator) is lit on the bridge, there is nothing showing on the thermostat and the white LED on the extension box may or may not be blinking away at more than one per second? At this point you need to hold down the button that is on top of the extension box for at least five seconds. If the LED was not blinking before it will be now and patience is needed as eventually it should settle down to a nice quiet undulating/pulsing light. If you now check the bridge all LED's should be lit and if you go to the 'mytado' link sent to you the web app should be visible on your web page on Mac or PC. If you have previously downloaded the Tado smartphone app then this should be accessible also. If you are following any supplied Tado instructions a green band should also appear at the bottom of the final instruction page. There is no more to be done now on the extension box or bridge, future operation is centred around the web app or mobile app on your smartphone. It is possible to use a complex sequence of button pressing on the smart thermostat but hopefully you will never have to use it. Pressing the front panel button just once should display the current room temperature for a few seconds. In operation control is mostly done on the fly with the phone app and for a bit more detail the web app on your computer. 1. 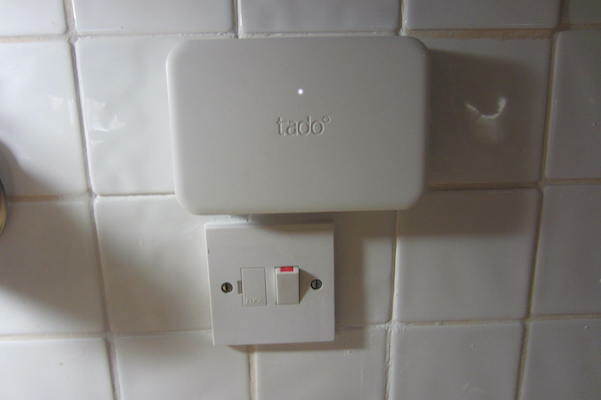 The default hot water setting at system switch on is that hot water control is disabled (even if you have purchased the extension kit) and greyed out, do not panic, a quick call to Tado control will result in this feature being enabled. 2. Once you have the system up and running you are more or less on your own, Tado (surprisingly) do not provide any detailed operating instructions although the Customer Support line is excellent. 3. You can schedule the home time/sleep time and hot water schedule just as you would a normal central heating programmer. Big difference here is that the time you set is the time to be at that temperature NOT the time the boiler switches on. 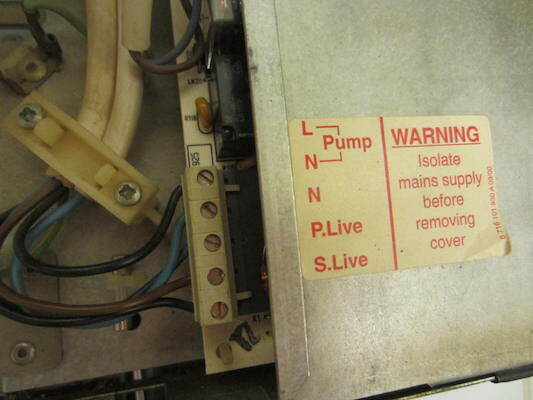 I learned this the hard way when I awoke at 0530 on the first full day of operation to hear the boiler firing. I had set the daytime temperature to come on at about 0700 so Tado was getting things warmed up to be at the set temperature at 0700. Perfectly reasonable when you know! 4. Such things as night time setback temperature, room temperature, scheduling Tado seems to think are intuitive. I think a quick start guide would save many calls to their Customer Support line. 5. Do not expect Tado to be a miracle worker, it cannot 'learn' such things as an occasional holiday trip out of the country. It has on one occasion set back the temperature to 16.4 Deg C when we were only two hours away from home and it was -2 Deg C outside. It would have needed a boiler the size of a planet to raise the house temperature by 6 Deg C in two hours!! These settings can be adjusted by Tado Support if you ask them. However I am still trying to understand the radius of the geofence temperature rings in order to get this right. Expect to occasionally 'take over' and put it into Manual and set the temperature before you return home, otherwise you may be disappointed with a cool house on arrival at your front door. 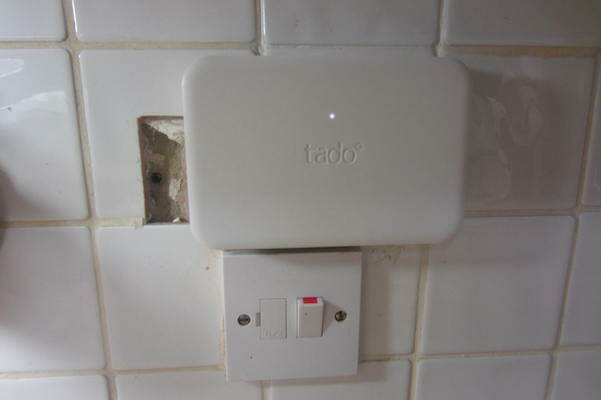 At the time of writing I have had Tado in operation for almost three months and can say that I am delighted with its performance in general. With the phone app installed it enables easy control of the heating from wherever you are (in my case Australia and Madeira!) and gives confidence that with plummeting temperatures the house will not freeze. Tado senses the location of signed up dwelling members and adjusts the heating acccording to them being at home or away. This action results in energy savings through not heating an empty home. I have not evaluated, as yet, what these savings maybe, due to not having a stable occupancy however I will be doing some like for like comparisons with previous energy useage in the near future. I had two situations recently which caused me a bit of head scratching. First was when I was away in Cornwall for a few days and had manually turned the heating off before I left. On running a quick check on the heating, whilst away, I observed that the house was being heated to 20 DegC, I was very puzzled by this and phoned Tado Support on my return....Turns out that when Tado had announced, months previously, of an affiliation with IFTT that I had entered an IFTT rule (as an experiment) that if the outside temp dropped to below 5DegC then the heating was switched on. Having set this paramater I then completely forgot about it...doh!!! 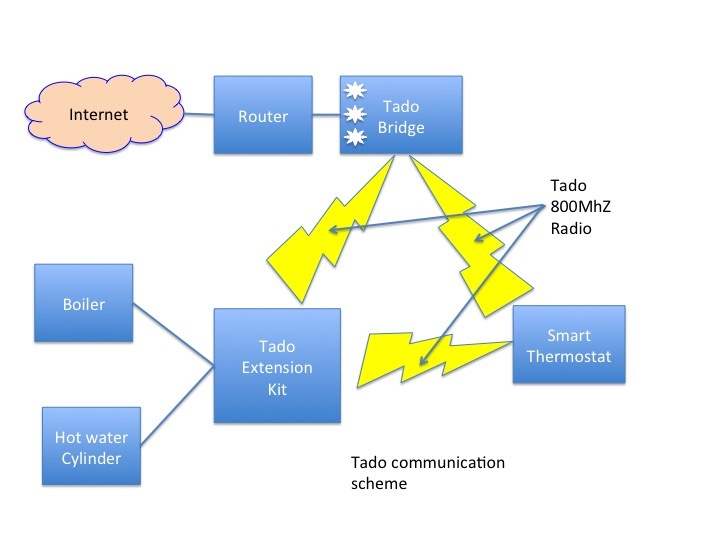 The good news is that I can now confirm that IFTT rules 'do' work with Tado! Second issue was more interesting. I had been away on holiday for a couple of weeks recently and when I returned to the house it seemed that the house was permanently heating to around 20DegC even though the smart scheduling appeared to be working. In other words my phone display was telling me that the heating was on overnight setback but I could hear the boiler firing and the radiotors were running hot. Based on an excellent bit of troubleshooting from Tado support I established that the diverter valve was stuck open to the heating system, I always run my hot water on constant and this was effectively overriding the heating timing and feeding hot water to the heating system constantly. A few rotations of the valve cured the problem...excellent.